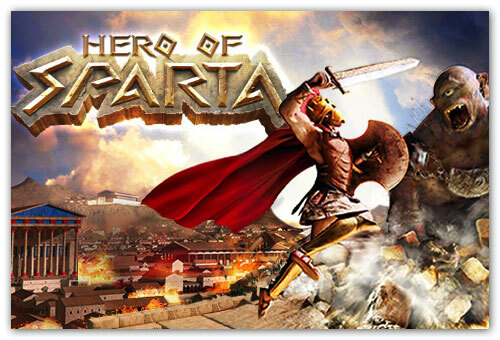 Hero of Sparta is a real odyssey action-adventure thrilling video game developed for gaming consoles such as Nintendo DS, Android, iOS and PlayStation Portable by Gameloft. 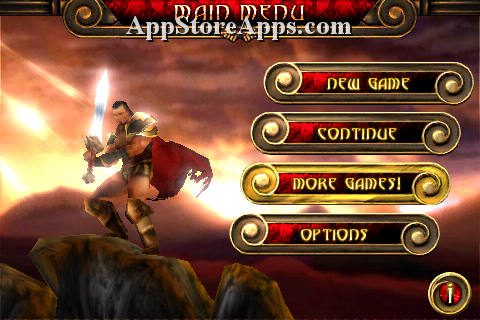 Hero of Sparta requires iOS 3.1.3 and is compatible with iPhone, iPod touch, and iPad. Hero of Sparta features an epic odyssey storyline which is set in ancient Greece, where player plays the role of a fierce Spartan warrior, King Argos who is unafraid of defying the gods themselves and in the beginning he finds himself awake alone on an unknown beach with bare hands, his boat and entire navy missing. The game features 8 different levels to explore with their majestic environments: the mysterious Atlantis, the depths of the Underworld, and more. 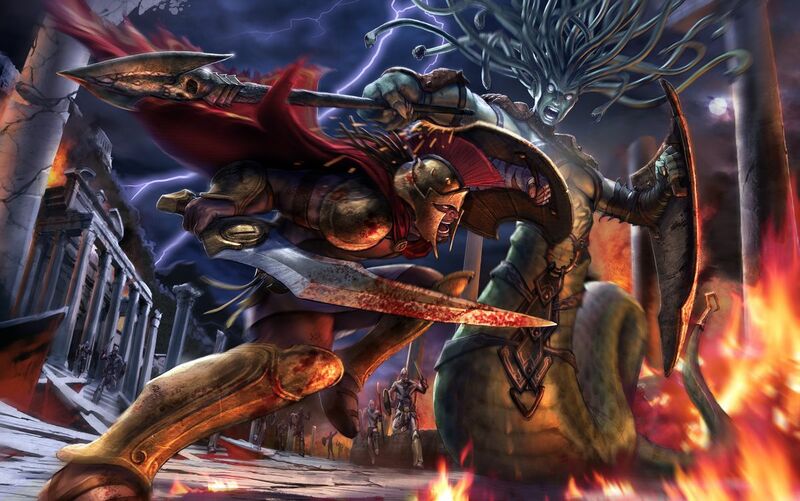 Storyline offers the most phenomenal combat with monsters from mythology. The game is really a mythic adventure; the player has to survive through the journey from the Oracle’s Island to Atlantis and finally to the depths of the Underworld fighting mythical beasts such as Cyclops or Cerberus. The game features full 3D experience with glorious graphics, the game is a real odyssey more than a basic hack and slash. It offers amazing equipments and upgraded mythic weapons such as bow, ax and swords and amazing super powers challenging even the Gods themselves. Go through the epic gameplay experience combating the most phenomenal monsters from mythology, be a Spartan with special super powers and challenge even the gods, solve puzzles, missions coming all your way and survive through this mythic adventure. Disney Pixar Cars 2 is a third person world-class racing game, fundamentally based on the movie Cars 2 and developed by Avalanche Software. It was released by Disney Interactive on different major platforms such as PSP, Xbox 360. Its PS3 version feature stereoscopic 3D gameplay. Grab your PSP, Jump into the Cars universe with a brand new international spy theme, hit the road and race your way around the world. Disney Pixar Cars 2 offers the players global high-speed racing adventure with its splendid stereoscopic 3D gameplay. Game provides 25 different characters to choose from. Players do have the opportunity of upgrading car machines from the garage. A player can choose his/her favorite speedy machines. Players participates in missions as a world class spy, smack enemies down, completes missions, achieves levels and wins trophies throughout the gameplay, with medals and crest, cheats, codes, unlock cars and a lot more! Trophies and Ponits are awarded in each success to the players throughout the gameplay depending on the beat-timing and what type of vehicle players are driving, respectively. There are three types of trophies awarded to the players, which are Bronze, Silver and gold. There are generally three modes: heavy, medium and light. With targeted achievements players can unlock the new cars. Disney Pixar Cars 2 has multiplayer features too; up to four players can have the enjoyment to play simultaneously. Entertainment’s published.It is co-developed by SCE Santa Monica Studio and The Workshop. Before getting officially released it was available fo download on their official web-site. This Game simply gives you the World’s best gaming experience with its terrific graphics and its war elemental spells tactics. Players take the character of a juvenile sorcerer’s beginner, named Finn, and must master the secret arts with the intention of protect his homeland. The game features war attacks in 5 elemental spells which are Earth, Fire, Ice, Lighting and Wind. The character has its own standard Arcane Bolt attack to defeat its enemies. But these five elemental spells adds a unique elegance in the gaming experience. To get to the final level to defeat the Nightmare Queen Player will have to journey throughout different levels, Finn with its magical cat Erline, first have to travel through the Dark Faerie Kingdom (where the Nightmare Queen has sent her foul minions) with the aim of saving the land from the darkness that has enshrouded it, recover ancient knowledge to hold something in hand to get its mission complete by aiding the local townsfolk. Finn battles through five unique territories defeating countless monsters with the intention of protecting its homeland from the darkness of Nightmare Queen by finding exotic treasure which ultimately defeat the Nightmare Queen. Kaillera is add-on to already existing arcade emulators like MAME, Atari, N64 etc and is designed to aid networked multiplayer play for these emulators. And like most network multiplayer gaming systems, Kaillera is also implemented to work on client–server architecture. Kaillera’s latest update is its implementation with MAME(Multiple Arcade Machine Emulator). MAME is a famous emulator and is able to run almost all types of arcade games and with Kaillera attached with the MAME emulator these games can now be played online or on a computer network like LAN or internet. The latest emulator of MAME equipped with Kaillera is Mame32 plus plus v0.119 is available to download for free on kaillera’s official website http://www.kaillera.com. With an option to either create a server or join an exiting servers Mame32 plus plus is gaining popularity, and is providing great competition to Online Gaming systems like xbox live, gameranger etc. For gamers with particular interest in classic arcade games like street fighter, metal slug series, King of Fighters etc this multiplayer option to play against human player over internet is a blessing. Lost are the days when people used to meet other classic gamers in game shops (popularly called noise factory) this new system is providing an opportunity for classic arcade gamers all around the globe to play with each other while enjoying the comforts of the home. For years Multiplayer Games has given gamers such a fantastic platform to have fun together. Playing against Computer is great but there is nothing quite great about playing against friends, throwing all bumps on them in all n ease while playing games. Gamers would generally find a lot of multiplayer games to play. But there’s only a few that certainly would give you so unimaginably awesome experience of gaming world. Here I list some Multiplayer Games that have been simply great to roll over the unimaginable platform. Is a shooter video game, which was developed for Microsoft Windows, Mac OS X, PlayStation 3, Xbox 360 and Wii. It features team-based and death match-based multiplayer modes on various maps. Each mode has an objective that requires unique strategies to complete. It runs on the IW engine, specifically IW 3.0, featuring true world-dynamic lighting, HDR lighting effects, dynamic shadows and depth of field. Super Smash Bros was actually released for the Wii’s Virtual console. Super Smash Bros is essentially a crossover between several Nintendo franchises, such as Mario, The Legend of Zelda and Kirby. The Super Smash Bros. series is a dramatic departure from many fighting games. Instead of winning by depleting an opponent’s life bar, Smash Bros players seek to knock opposing characters off the stage. The great thing about the game is that once you’re dead,you’re out. This makes game Competitive rather more fun and spiritual one. Counter-Strike divides players into teams of terrorists and counter-terrorists. The game modes include Slaughter /protecting a VIP. A racing game developed and published by Nintendo for the Nintendo 64. It is the second furnishing in the Mario Kart series. You can play the game in four different forms: Grand Prix, Time Trial, versus, and Battle. Game provides 8 different characters to play with. World of Warcraft is an enormously vast, rich role- playing online multiplayer experience that has factually consumed people’s lives. This game is incredibly fun to and magnificent in terms of its and creativity. This game is a first person shooting video game available for Playstation 2, Xbox, and Nintendo Game consoles. Many still hold TimeSplitters 2 as one of the best FPS multiplayer experiences around. This game can be enjoyed by two or more players. Its gaming experience will give you the magnificent gaming experience throughout the play. A lot of people like Street Fighter. Playing against the CPU in the original was certainly always fun and challenging, but the best side of Street Fighter was introduced in its second outing, which saw the birth of 1 on 1 versus matches. It has added new depth to series that would set the tone for later additions. Formerly known as ISS, PES (as it’s often affectionately abbreviated), is the well-known competitor to the long standing FIFA series. Pro Evolution Soccer has come up with 11 series of it yet. It’s the complete multiplayer RTS experience you’re looking for. Even though its kind of an amassing of all the RTS games before it, Starcraft II has more polish, balance and user-friendliness. Beginners Welcome: it’s a whole new different world for gamers. Is a multiplayer first-Person shooter video game. Quake 3 is available on a number of platforms and contains mature content. The game was highly praised by reviewers who, for the most part, described the game play as fun and engaging. Many liked the crisp graphics and focus on Multiplayer. We all love racing games that are for free. So codemaster launched the first in the world of online gaming “F1 online” ready to set to launch in Q1. Free to play racing will feature all the cars, stars and circuits in the game to give players the chances to be the driver. Though this game fans will be able to race with their favorite team in online multiplayer race events and practices with their favorite team and the team boss in a game create or manage there own team. Gamers will easily choose their level game and share their progress or dashboard of the score board and some social networking websites. F1 online provide features to multiplayers in six different games mode.